Fashion photographer Ben Weller has captured one of Netherlands hottest new faces, Charon Cooijmans for April 2014 issue of Vogue Netherlands. 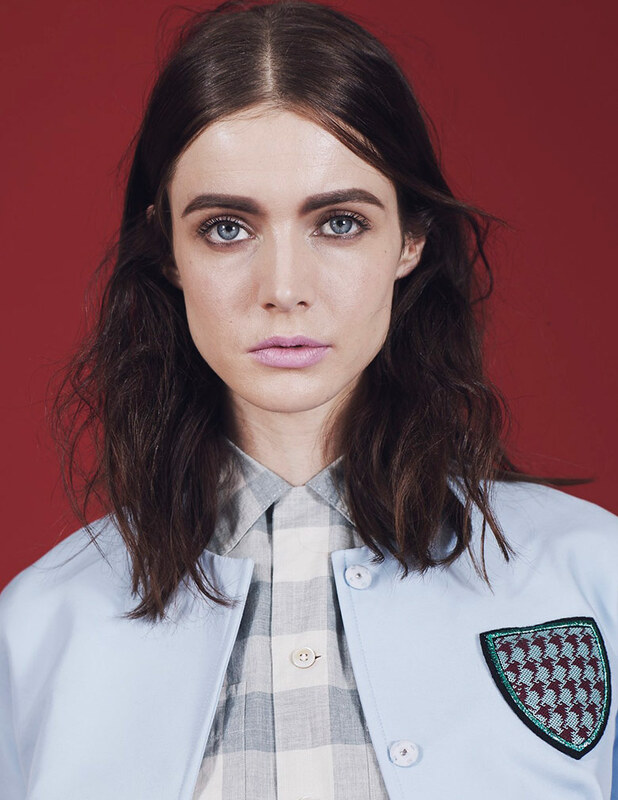 The blue gazed brunette reveals a fashionable childishness when lensed by Weller. Stylist Darcy Backlar has brought forward a unique set of clothing featuring everything from printed sweatshirts and cheerleading tops to platform trainers and sarong skirts for Cooijmans’ lean figure. Framed against colored simple studio walls, model Charon is gorgeously portrayed through out different angles to fulfill Weller’s playful vision. Creating a thick eyebrow and pink toned lips for Charon is make-up artist Huberte Cesarion whilst hairstylist Adrien Pinault has played with waves and frizzines to establish the youthful approach.